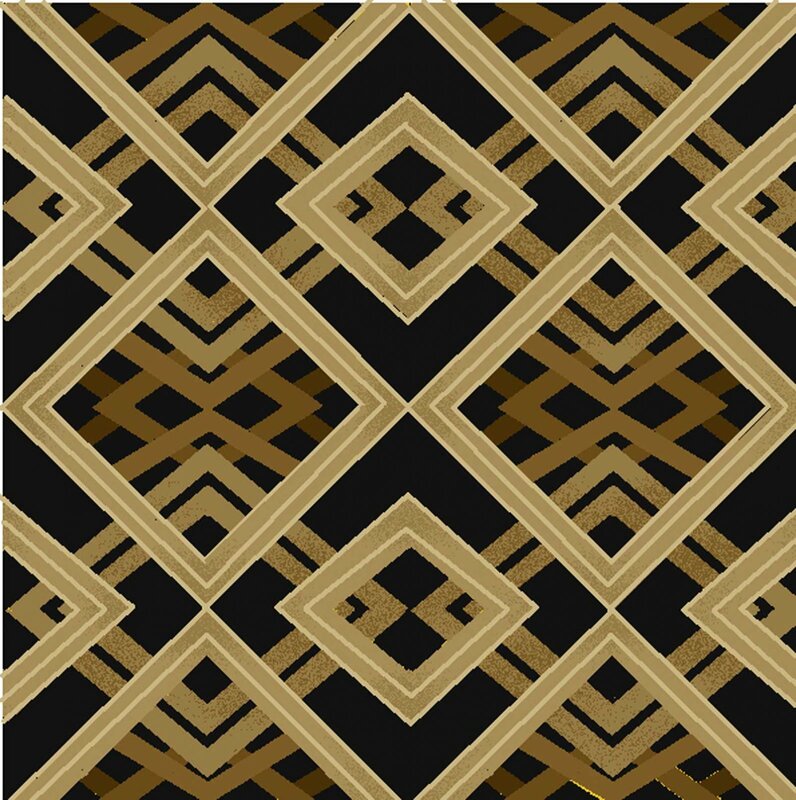 Black with small repetitive gold metallic geometric print. From the Romance collection from Oasis Fabrics. 100% cotton. 44"-45" wide.